I am saddened to report that Jeff Conaway who many of you may know as Zack Allan on Babylon 5 among many other film and television credits passed away today. 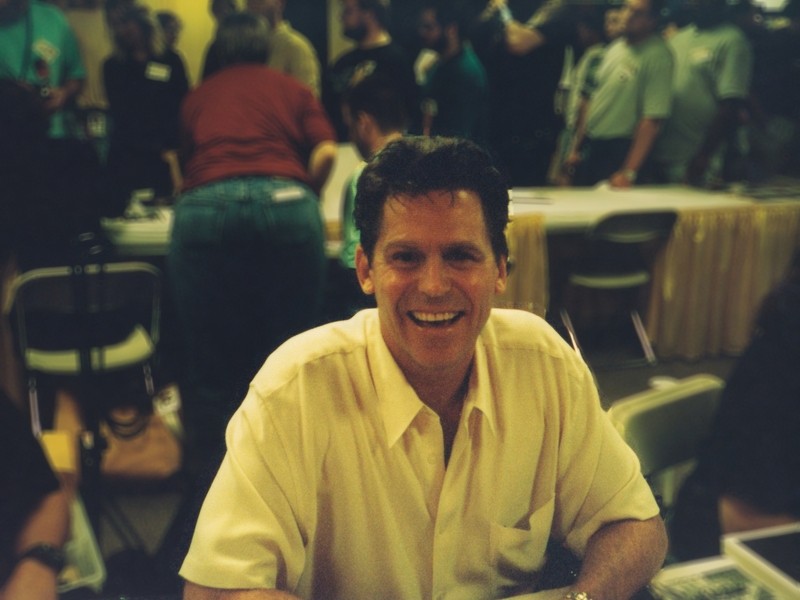 However, I am glad that I had the fortune to meet Jeff Conaway back in 1998 at Dragon*Con. As you can see in the photo that I took from the conference, he was very happy and energized to meet and talk with his fans. In the episode of Babylon 5 “River of Souls,” Captain Lochley” says, “Zack was right. There is a heaven.” Perhaps he was right, and Jeff/Zach are wherever that might be right now.